Photographs from Metronome Magazine’s jazz archives in Pierre Vudrag’s exhibit, The Metronome Jazz Photo Collection. 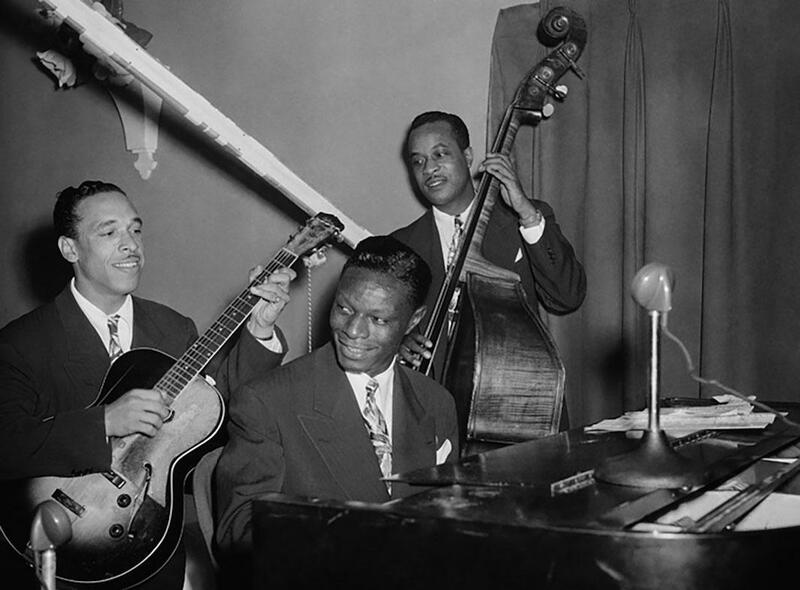 Nat King Cole Trio, 1944. Photographer: Charlie Mihn. Founded in 1881, Metronome magazine became indispensable during the swing era, when it switched its focus to jazz. For decades, it was the best publication for reviews, features, and show listings of the era’s foremost music genre. The magazine struggled to adapt as tastes changed, and in 1961 it closed. Getty Images eventually acquired its vast photo archives, but for decades, nobody had explored them until Pierre Vudrag, founder of the vintage photography and poster site, Limited Runs, decided to take a look. 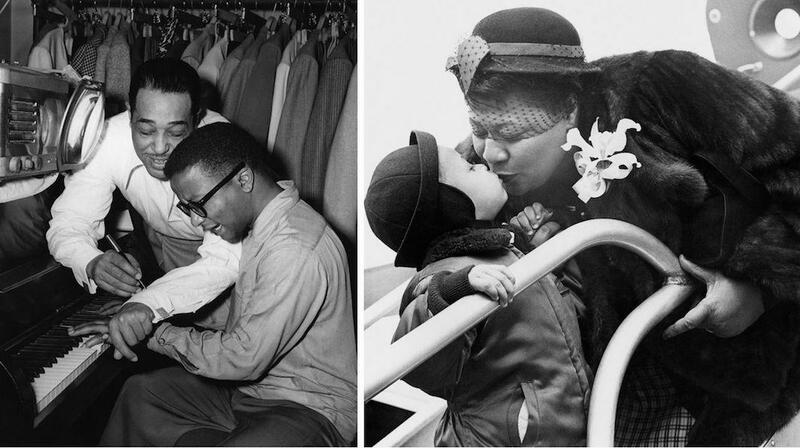 His selections from the archives are now featured in a traveling exhibition, “The Metronome Jazz Photo Collection,” which will be on display in New York and Chicago this fall. Left: Milt Hinton, 1950. Photographer: Mike Miller. Right: Lester Jumps In. Lester Young, 1944. “If you were a photographer shooting jazz, you had to get your stuff in the magazine. 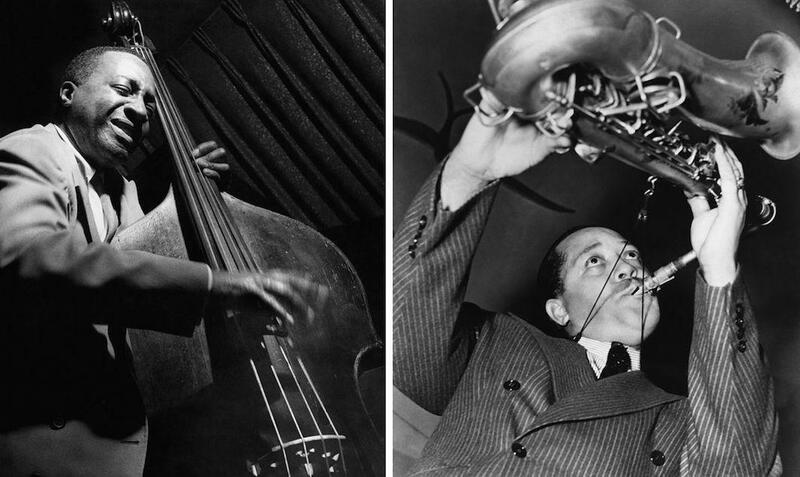 I don’t think they paid their photographers very well, but every major photographer whose work is identified today as a key player in jazz music, you see their work in Metronome,” Vudrag said. 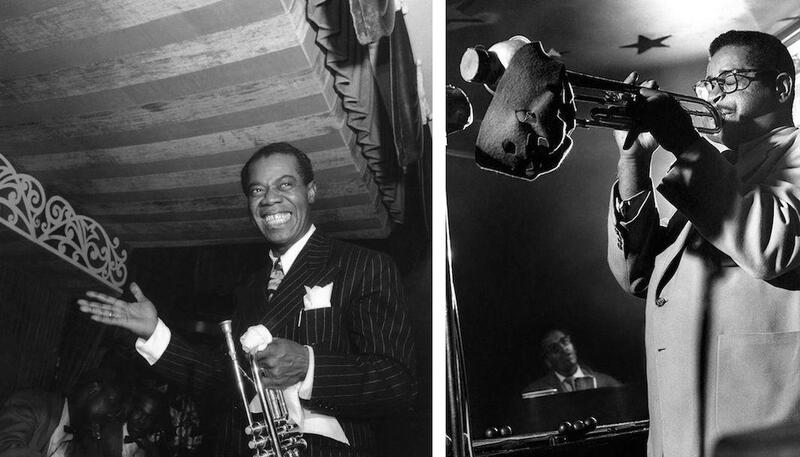 Starting in 2013, Vudrag visited Getty’s downtown New York City office regularly to sift through rusty filing cabinets filled with tens of thousands of photos of jazz pioneers from the 1930s to the early 1960s. More than half of the photos in the exhibit are alternate shots that never made it in print. Others were only used in advertisements. 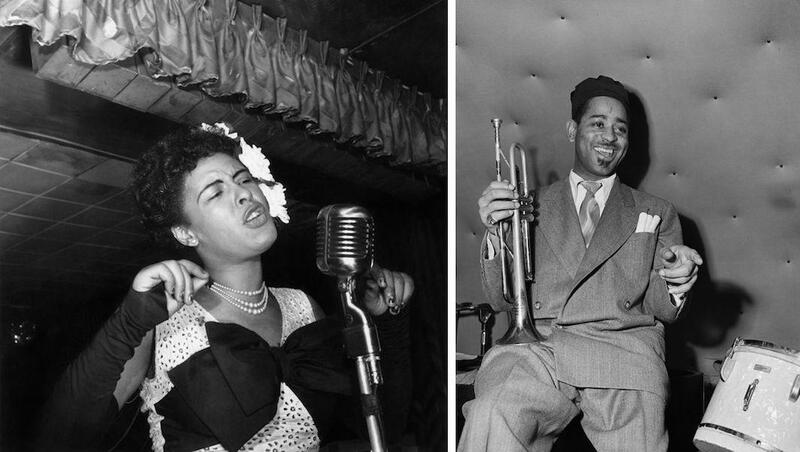 Left: Billie Holiday performs at the Downbeat club in February 1947 in New York City. Right: Dizzy hangs with Bird. Dizzy Gillespie, 1940s. Many of the photographers weren’t credited in the magazine, and even after more than two years of research, Vudrag wasn’t able to identify many of the people behind the historically significant photos he uncovered. The photos capture the musicians in performance and in more casual settings. “It wasn’t just glamorous. We try to show the other side: their everyday lives, their interactions with each other, the guys in the studio rehearsing and out on the streets,” Vudrag said. Left: The Collaborators. Duke Ellington and Billy Strayhorn, 1948. Photographer: Barry Kramer. Right: Welcome Home Ella. Ella Fitzgerald, 1952. Photographer: David B. Hecht. Among those photos are some of the most iconic images in jazz history, including Maurice Seymour’s portrait of the top hatted Duke Ellington. For that image, Vudrag could only find prints; Seymour burned most of his negatives, convinced that they’d never be worth anything. “We digitally scanned the photograph and tried to get it back to its original state. We ended up doing that for a number of the photos because the original negatives were lost,” he said. Starting from an initial edit of 460 photos, Vudrag was eventually able to narrow down his selection to 27 favorites after a painstaking edit process. “I think what we put together is a great representation of what came out of that collection, but there’s so much work in that collection it could go on forever,” he said. The exhibition will be on view Oct. 1–3 at 360 Design Space in New York and Oct. 8–10 at the Study Chicago in Chicago. Photos can also be purchased at Limited Runs. Left: Satchmo. Louis Armstrong, 1940s. Right: Dizzy Plays. Dizzy Gillespie, 1945. Photographer: Frank Kuchirchuk.